UP Police SI Syllabus PDF and Uttar Pradesh Police SI Exam Pattern 2018-19 are available here. So, the candidates who are preparing for UP Police SI Exam 2018 can download UP Sub Inspector Syllabus & UP Police SI Exam Pattern from this page at a free of cost. Alo, Check UP Police SI Recruitment 2018 Notification details. We have also provided UP Police SI Previous Papers along with UP Police SI Exam Pattern 2018-19. So, download UP Police SI Syllabus from the below links and get prepare for UP Police SI Recruitment 2018-19. Most of Candidates are careless about Exam Pattern & Syllabus for Physical & Online Written Exam. Without knowing about structure of exam you can’t be success in the written exam. So in this section we provide you UP Police SI Exam Pattern & UP Police Si Syllabus of UP Police SI Written Exam. Uttar Pradesh Police Recruitment and Promotion Board has released UP Police SI Notification recently. This Uttar Pradesh Police Recruitment and Promotion Board is going to hire 33000 talented and energetic candidates for Constable and Sub Inspector Vacancies. So, the aspirants who are eagerly waiting for Police Jobs can apply for this UP Police SI Vacancy 2018 on or before the ending date through Online. 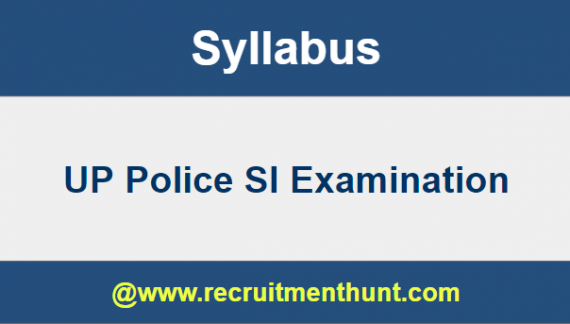 After applying, download UP Police Constable Syllabus & UP Police Exam Pattern in PDF format in the below sections for your proper UP Police SI Preparation. Stay tuned to our Recruitment Hunt Website to get latest updates of Sarkari Jobs. Latest UP SI 2018 Syllabus & Uttar Pradesh Police Exam Pattern has been uploaded here. So, the applicants of UP Police SI Recruitment 2018 can download UP SI Police Exam Syllabus & UP Police SI Exam Pattern from below for their exam preparation. If you study according to UP Police Syllabus & Uttar Pradesh SI Police Exam Pattern, then you will definitely crack the UP SI Police Job. Since through UPSI Syllabus 2018, you can know the high weight age and important topics that need to be prepared for the exam. By this, you can score very good marks and also qualify the Uttar Pradesh Police Sub Inspector Exam 2018. UP Police SI Exam Paper is divided into four Parts – Part A, Part B, Part C, and Part D.
Each Part consists of 40 questions for 100 marks each. The complete and detailed UP Police SI Syllabus is as follows. General Knowledge of Law etc. 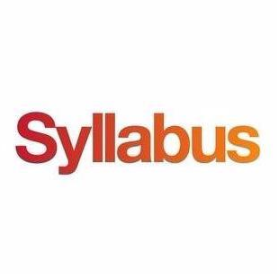 Finally Candidates can download UP Police SI Syllabus here. So, Applicants can make their preparation easier by following UP Police SI Syllabus and Previous Year Question Papers. Download Karnataka UP Police SI Syllabus along with UP Police SI Recruitment and Previous Year Question Papers 2018-19 on this article. Also, For more Job Updates stay Tuned to our site Recruitment Hunt.